This is the post where I bring together two of my favorite things: my adopted home of Chicago, and Christmas! Together, with festive traditions, beautiful lights and entertaining shows, look at all this amazingness they make! This annual outdoor market, which takes its name from the one in Nuremberg, Germany, has been getting Chicagoans into the Christmas spirit for nearly twenty years. Bring your appetite, because there are tons of traditional German treats at this market, including lots to satisfy your sweet tooth. Andersonville has long been one of my favorite Chicago neighborhoods. 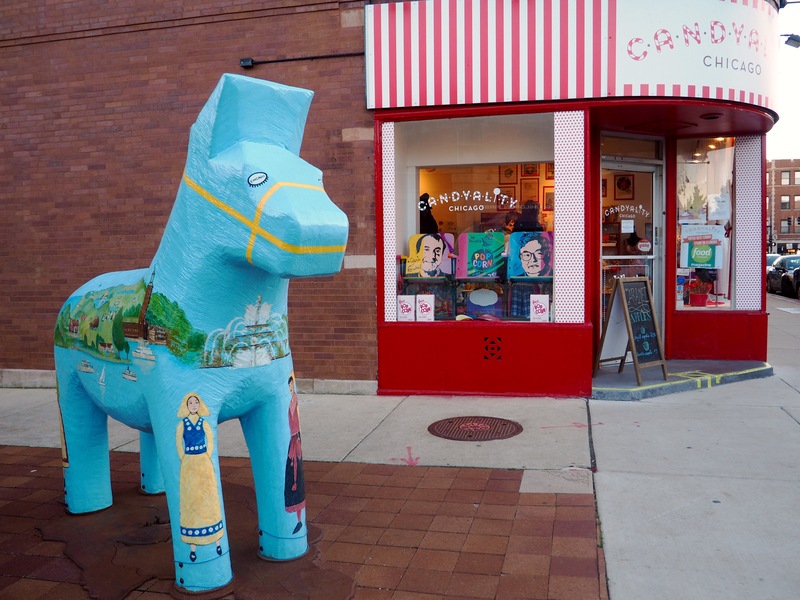 With its many independently owned shops and restaurants, this historically Swedish enclave in Edgewater has something of a small town feel to it and local charm in spades! This past Friday the hubby and I headed to the area for Late Night Andersonville, an annual neighborhood event where shops, cafes and bakeries stay open an additional four hours for holiday festivities. Some stores have little treats laid out, or hot chocolate, while others have live music and Christmas carols. It’s like a more fun version of a pub crawl where you hop from store to store, enjoying special holiday deals while getting to support local business owners.